Opera, seen by some as anti-Semitic, depicts murder of Leon Klinghoffer, a Jewish man on a cruise, by Palestinian guerrillas. REUTERS - New York's Metropolitan Opera is bracing for its most tumultuous opening in decades on Monday as protesters get ready to picket "The Death of Klinghoffer," the John Adams opera about the 1985 hijacking of a cruise ship by Palestinian guerrillas. 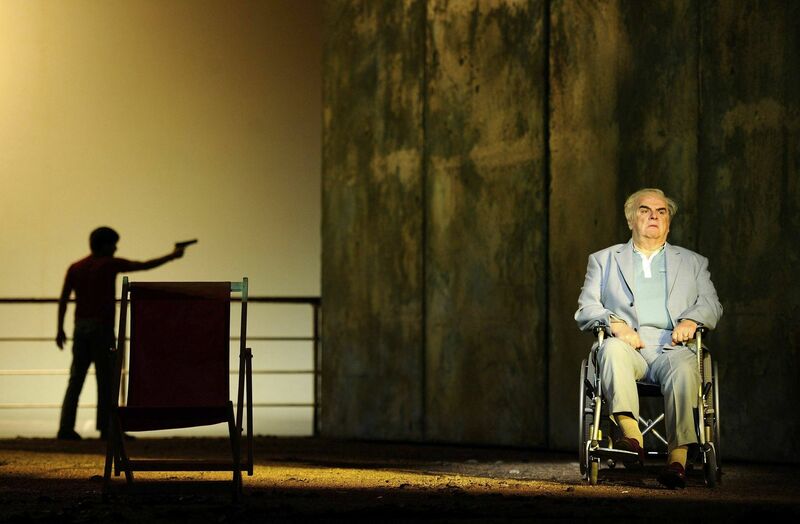 The opera, seen by some as a humanist masterpiece and by others as anti-Semitic, depicts the murder of Leon Klinghoffer, a Jewish man on a cruise with his wife aboard the Achille Lauro. After his death, the killers threw the body of the retired New Yorker overboard along with his wheelchair. In 1991, less than six years after the hijacking, the opera made its premiere in Brussels, receiving mostly favorable reviews and generating little controversy. But a few months later when the opera moved to the borough of Brooklyn in New York City, Klinghoffer's home town, it touched a raw nerve. The production received much angrier notices, including a statement of outrage from Klinghoffer's daughters, Lisa and Ilse, who called it anti-Semitic and biased. Those labels have dogged the opera ever since. On Monday, Rudy Giuliani, the former New York City mayor, is expected to join hundreds of protesters and 100 symbolic wheelchairs at a rally outside the opera's Met debut at Lincoln Center in midtown Manhattan. Last month, a crowd demonstrating against the opera jeered operagoers in evening dress as they made their way into the Met's season gala opening, and the opera company has scrapped plans to broadcast "Klinghoffer" internationally. "The problem is this is not gutter-level anti-Semitism," said Jeffrey Wiesenfeld, a trustee of the City University of New York who is helping organize the rally. The Met was "the very highest level of American culture," he said. "The history of the Weimar Republic shows us when this type of racism and anti-Semitism reaches this level of the culture, society is really troubled," he said, referring to Germany just before the rise of Nazism in the 1930's. The opera's libretto by Alice Goodman and its score by Adams have been closely scrutinized, and critics have come to divergent opinions. 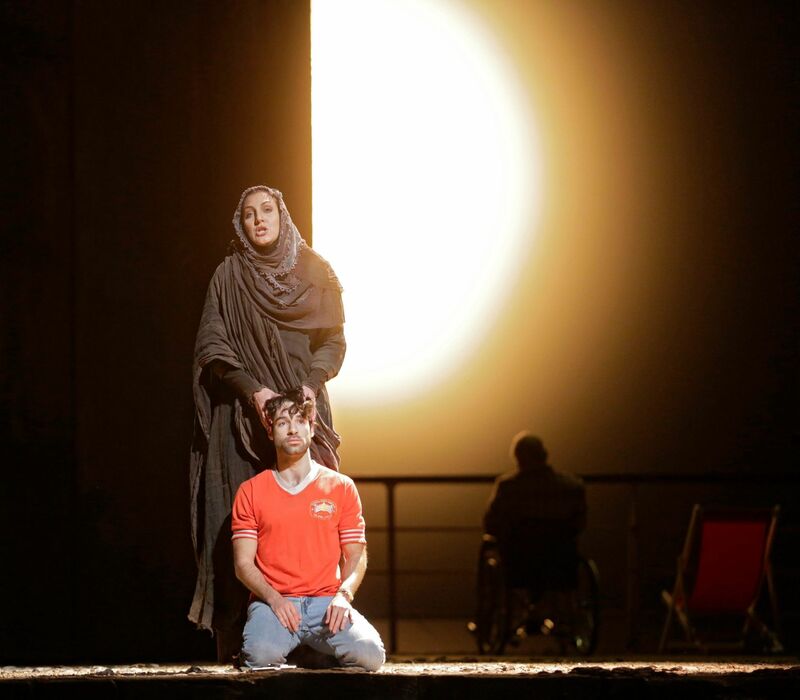 Some say Adams reserved some of the opera's most beautiful music for Klinghoffer's killers to romanticize their violence, and that the work's opening "Chorus of Exiled Palestinians" is one of several attempts to rationalize their crimes. Defenders of the opera, such as the musicologist Robert Fink, say it shows the humble, loving Klinghoffers to be the moral compass of the work, while the four Palestinians are portrayed as tawdry, self-aggrandizing murderers. Tom Morris is directing the Met's new production after a successful premiere two years ago by London's English National Opera, which drew a single protester carrying a placard. Morris says the opera is a tragedy that shows the human cost of an old conflict, and says those who complain that it humanizes Klinghoffer's killers miss the point. "The fact is, they were human," he said, "and if there is ever to be any solution to this kind of conflict, it has to be based on the premise that they are human, however hideous the crime they committed."